Whether you’re buying them for graduations, birthdays, Mother’s or Father’s Day or even a gift to yourself for that promotion, you can’t go wrong with the Classic Laquers. The stainless steel barrel with vibrant laquers, trademarked knurl twist-top and smooth rollerball refill make it a must have. Each one is packaged in a graphic tube that doubles as a pen stand and safe way of carrying your tornado when not in use. 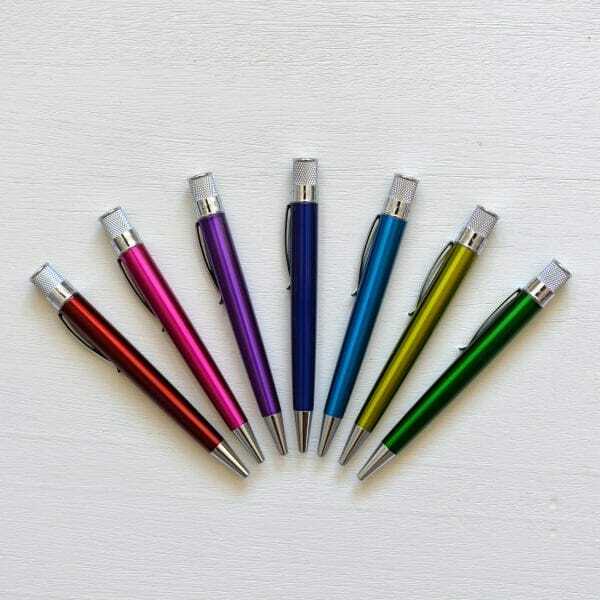 Pick up a couple colors and share your passion for fine writing.